Two and a Half Canadians in Cambridge: Well, This is Embarrassing. And a Bit Depressing. Soooooo, you know when you get about 90% of the way through doing something, and then you don't actually finish it, but you swear you did?? 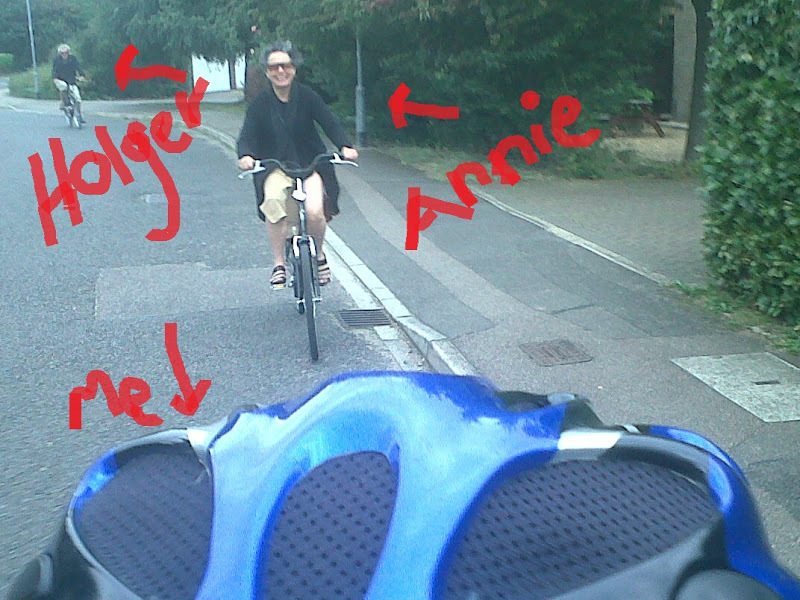 Yeah, I did that with the photographs of Holger & Anne's visit to Cambridge. I was actually scrolling through my blog, looking for the post when I realized: huh. I'm a dumbass. Without further ado, here is what we did together. The pair arrived on a ___day (I forget now, but it was a weekday, which is important) and Elizabeth & I went to meet them the next day. Matthew couldn't come, because he was working - aren't you glad I told you it was a weekday that they arrived?? ;) They stayed in London with one of their good friends, who lives right next to Battersea Park. Truth: I have never been there before, and Second Truth: I am sad I only just learned about it at the end of our stay here. It's a great big park on the south side of the Thames, and it has everything. A duck pond, a "ladies pond" (what the what??? ), fountains, and a children's zoo. 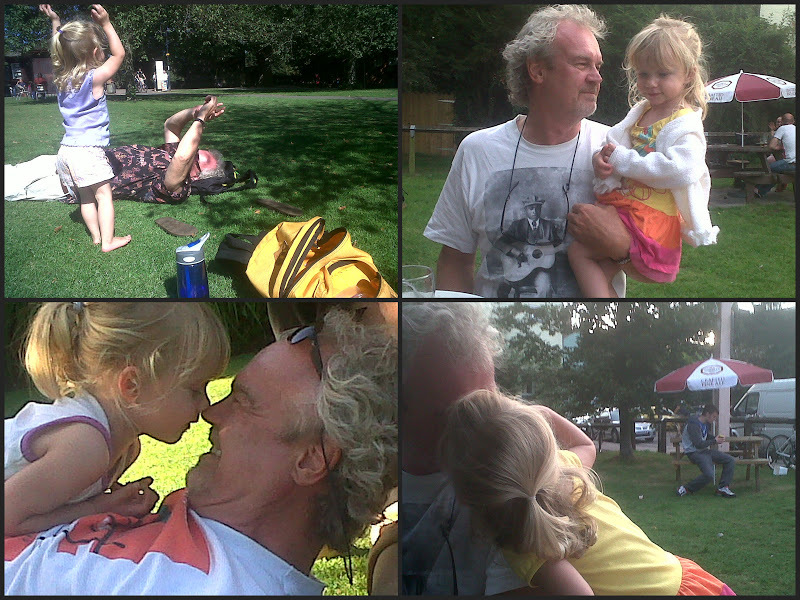 So Elizabeth & I got to go to the zoo with her Grandpa Holger & Annie. It was so much fun. Anne brought Elizabeth a set of fairy wings & a halo with "fairy hair", which Elizabeth was proud to wear as we we left the zoo. Oh, and she played in a splash park/sandbox, so.... that's why she's a Naked Fairy. As we were leaving the zoo, Naked Fairy Elizabeth was getting pretty tired, and was ... easily distracted, shall we say? 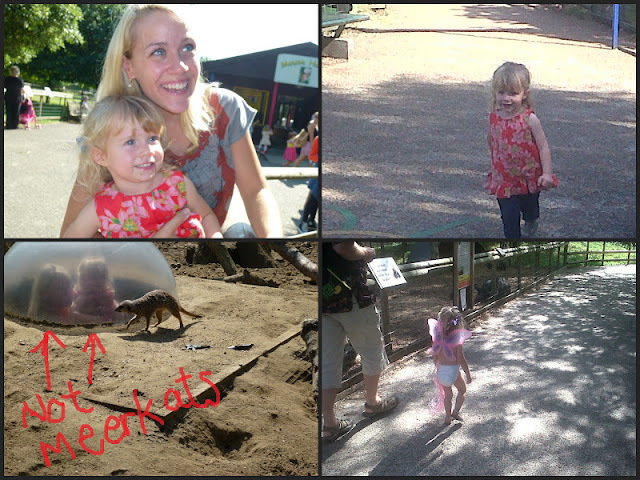 Here is her leaving the zoo - she did that hopscotch about 8 times. Sorry that you will be subjected to my embarrassingly high voice saying, "Come on" or "Let's go" or whatever it is that I say. I love her fast little run. 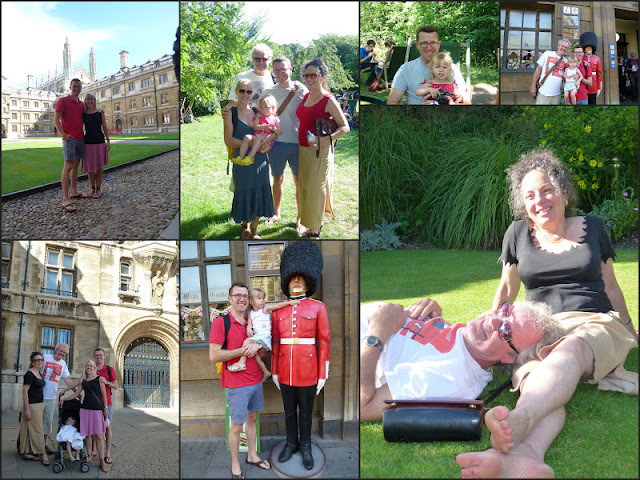 Then, Holger & Anne went to visit other friends in England for a week, so by the time they got to Cambridge they weren't jet lagged anymore! Success! I always feel so bad for visitors going through jet lag. It just stinks, and they want to have fun, but are exhausted, and we want to have fun, but don't want to make anyone suffer when they just want a nap. Ya know? Here's what we did: Lay in the sunshine. Go to pubs. 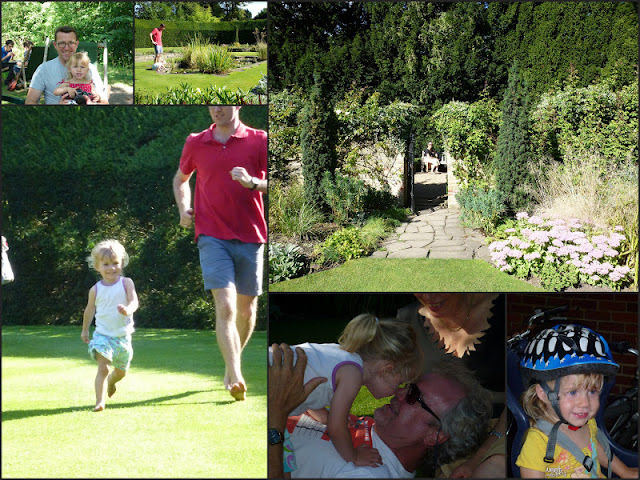 Visit college gardens and all the greens. Go for scones and tea in Grantchester. Cycle around. Play board games. Play with Elizabeth. Have a really great time. Elizabeth lo-oves Grandpa Holger - and he's pretty moony over her too. They did a lot of nose-touching and copy-cat-ing together. It was pretty entertaining. So while it's incredibly embarrassing to be so convinced that you've done something that you actually haven't, it's even more depressing to actually write this blog of sunshiney, blue sky days on a dreary, grey afternoon. I want it to be summer all year round. How about every single person I know & love move to San Francisco with me? Imagine??! !